Emma Jordan, 30, lives in Nottinghamshire and is a Website Manager. She is the proud owner of two dogs who are very much part of the family, and she wouldn’t go on holiday without them. Sam is a 4-year-old Golden Labrador and Jess is a 7-month-old Cocker Spaniel. For dog owner Emma Jordan, going on holiday just wouldn’t be the same without her beloved pets. 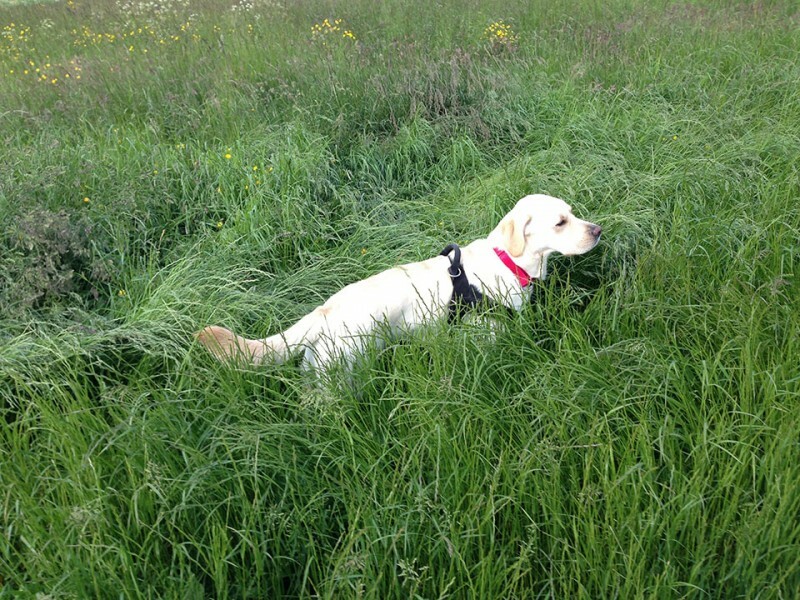 Before booking a break away, Emma likes to make sure that her furry friends are as welcome as she is. When planning a dog-friendly holiday, there are lots of things to think about – is there pet-friendly accommodation, local attractions, shops and places to eat? Emma is careful to do her research first. “It’s much better to go where dogs are truly welcome. I often go to places on recommendation from friends and family with dogs. I go back to the same places again and again,” she says. Her canine companions are a huge part of the holiday. 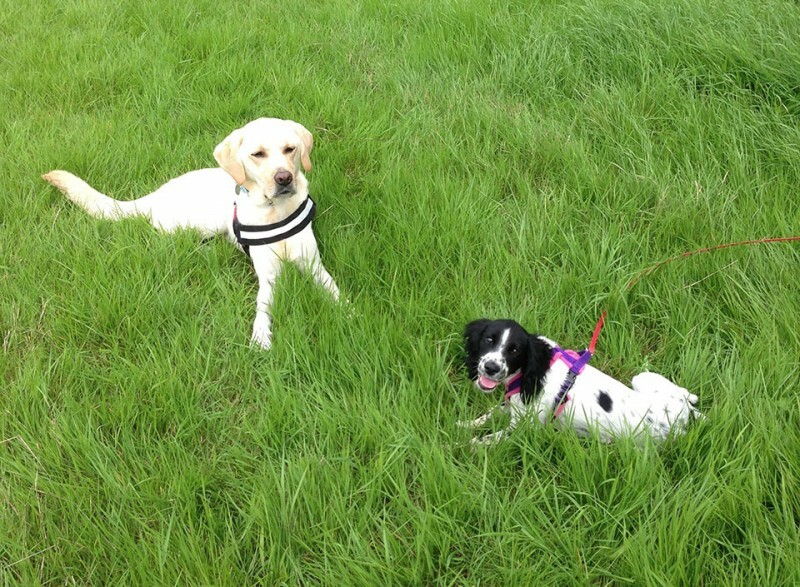 Emma loves it when her dogs, Sam and Jess, are fully involved in her holiday activities. Dogs have been part of Emma’s life for as long as she can remember. She has owned her own dogs for the past four years, but also grew up alongside man’s best friend. Emma sees Sam and Jess as an extension of her family, so she wouldn’t dream of going on holiday without them. “Our family has always taken the dogs on holiday because we see them as family too. There was never any question of them not coming. Emma organises regular trips away with her furry friends, as she comes from a family of teachers. “We take Sam and Jess away with us at least six times a year, basically every school holiday and various weekends too,” she says. Taking your dog on holiday is the perfect opportunity to meet like-minded dog lovers and socialise with others. “Having a dog with you means lots of people talk to you, those with and without dogs. I get people without dogs who want to come and make a fuss of Sam and Jess. Every dog lover knows the importance of keeping your dog’s body and mind active for good health and wellbeing. For Emma, the most effective way to achieve this is through training her dogs. While on holiday with them, she’s able to dedicate time to them and see how they respond in a different environment. When on holiday, it‘s likely that you and your dog will be unfamiliar with where you’re staying. So dog safety is a priority. Emma takes extra precautions to ensure that her dogs don’t succumb to any accidents while on new territory. 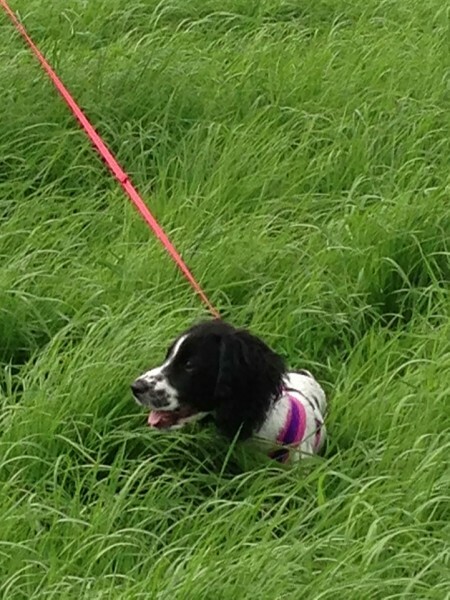 “My dogs wear harnesses and long lines instead of being off-lead on holiday. I don’t know the area and neither to do they, so hazards might appear that we’re unaware of. They also stay on short leads near livestock, cliffs and similar for their own safety. However, sometimes being in an unfamiliar environment can also create funny stories and experiences. “We’ve got lost and ended up having some very interesting walks at times. It seems my dogs might be better at navigating than me,” laughs Emma. Emma’s main concerns when taking her dogs on holiday are the health, safety and happiness of her dogs. “It’s important that they are healthy, safe, happy and that we can all have a lovely time,” she says. How many dogs are welcome? Are there restrictions on size and breed? What are the rules for dogs in the accommodation? What facilities are there for dogs in and around the accommodation? Information about the local area – for example, name of vet, maps for walks, local places that allow dogs, and areas where you can free run and train your dog locally. Where you can stop on the journey and let the dogs stretch their legs, do their business and have a drink? Dog-friendly holidays are all about having fun and enjoying time away with your dog. Emma has some straightforward advice to dog owners planning a holiday.